When Trey Mitchell announced last spring his decision to run for Sheboygan’s 9th district aldermanic seat, he initially received a few raised eyebrows. Mitchell, who was 22 at the time, didn’t let it slow him down. He wasn’t going to let the fact that he was less than a year out of college deter his passion for public service. In April 2018, he won the vote and became the youngest alderman in Sheboygan history—or at least he’s believed to be the youngest since the mid-1800s, the earliest available records in the city’s annals. The response to his victory has been well received, says Mitchell. Apart from a few good-natured jokes about him being younger than some aldermen’s grandchildren, his age was hardly even addressed at his first Common Council session. 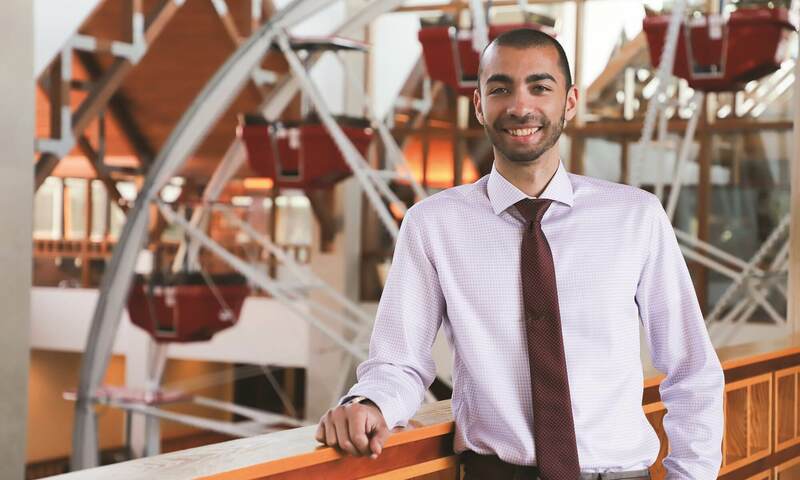 Throughout his four years at Concordia, Mitchell took on an assortment of leadership positions: he served as a resident assistant and chief student officer for Concordia’s Student Government Association, and he started Concordia’s first intercollegiate ultimate Frisbee team. In addition to his city government duties, he currently works as a programmer at Acuity. “I think if there’s one piece of advice I’ve gathered from my experience it’s this: If you’re passionate about something, you should never let doubt or the obstacles in your way stop you from pursuing it,” says Mitchell. That advice has clearly worked in his favor. The fall Concordian hit mailboxes the week of October 1. View a PDF version of the magazine here. If you are not on our mailing list, but are interested in receiving a free copy, call 262-243-4333.